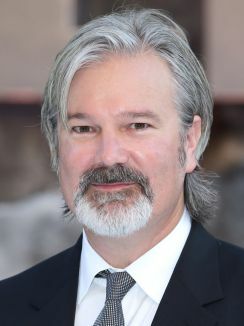 A filmmaker with remarkable visual flair, punk rocker-turned-director Gore Verbinski has crafted a solid career in Hollywood. Easily jumping genres and offering something new in the realm of visual creativity with each film, Verbinski has always seemed up for a challenge. His movies sometimes haven't been as successful as his ambitions, but his willingness to reach for new heights ensured that they were, at the very least, wild and involving rides. The Tennessee native began his career with such bands as Daredevils and Little Kings, though he eventually traded in his guitar for a movie camera. Verbinski initially dabbled in short films and advertising, gaining fame as the creator of the famous Budweiser frogs. Ambition eventually led him into feature territory, and, in 1997, he charmed audiences with the energetic family comedy Mouse Hunt. 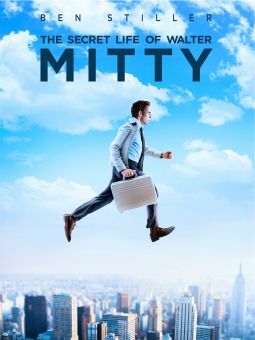 The film was not a direct hit in theaters, but it did draw praise for being a remarkably visual live-action cartoon and found new life in the home-video market. Verbinski's second effort starred two of Hollywood's brightest stars; unfortunately, the presence of both Brad Pitt and Julia Roberts couldn't redeem the anemic, crime-tinted romantic comedy The Mexican, and the movie died a quick death at the box office, though its failure was due more to a weak screenplay than a lack of solid direction. Verbinski's next film, however, made up for The Mexican's shortcomings. A remake of Hideo Nakata's Ringu (1998) -- which itself was based on Koji Suzuki's novel of the same name -- The Ring (2002) was adapted for stateside audiences in a relatively faithful manner, but with enough small changes to make it a pleasant surprise for fans of the original. The film even sparked something of a Japanese horror trend among Hollywood studios, and in the following years, numerous remakes of J- horror hits were announced, including Nakata's own Chaos and Dark Water. An unqualified box-office hit, it didn't take long for sequel buzz to begin, though with Verbinski opting out and a solid assurance that the new film would not be a direct remake of Ringu 2, the Ringu sequel. With the release of the phenomenally successful Pirates of the Caribbean: The Curse of the Black Pearl the following year, Verbinski finally hit his celluloid stride. Though many had their doubts that a successful feature could be crafted from little more than a theme-park ride, Pirates proved that, with the right cast and loads of action, anything was possible. A rollicking adventure for the whole family, the film not only benefited from Verbinski's sharp eye for detail, but also from unforgettable performances by Johnny Depp and Geoffrey Rush. It was also the first film ever to premiere at Disneyland and the first official Disney feature to exceed a PG rating, and Verbinski soon agreed to make a pair of sequels to be produced simultaneously after he directed the Nicolas Cage drama The Weather Man in 2004. Although The Weather Man failed to connect with audiences, it showcased Verbinski's versatility. 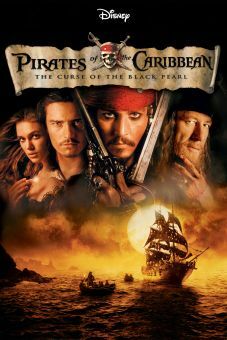 When the first Pirates sequel, subtitled Dead Man's Chest, opened in July of 2006 it set box office records for biggest single day and biggest opening weekend, and became the first film to make $100 million in two days. The next sequel - Pirates of the Caribbean: At World's End - also was a box-office behemoth. 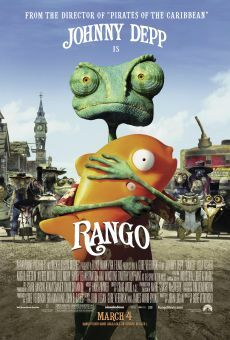 In 2011, he released the animated film Rango which scored excellent reviews, major box office, and an Oscar for Best Animated Feautre. He then reteamed with Johnny Depp for a new version of The Lone Ranger. Played guitar in punk band the Daredevils, alongside Bad Religion guitarist/Epitaph Records founder Brett Gurewitz and Vandals/A Perfect Circle drummer Josh Freese. Has directed videos for Bad Religion, psychedelic hard rockers Monster Magnet and grunge-punk group L7. Created the popular 1995 Budweiser "croaking frogs" commercial, for which he won a Cannes advertising Silver Lion award. Made his feature-film directorial debut with the 1997 family comedy Mousehunt, starring Nathan Lane. His 2003 box-office smash Pirates of the Caribbean: The Curse of the Black Pearl was nominated for a Saturn Award for Best Director. He also directed the first two sequels in the series. Was unable to direct 2011's Pirates of the Caribbean: On Stranger Tides due to his work on Rango, which was released in the same year.